JEI Affiliated Companies | Jacobs Entertainment Inc.
Our mission is to provide a fun and exciting gaming entertainment experience to our guests through exceptional service and value. We strive to communicate proactively with our guests, employees and communities, and create an environment of safety, security, compassion and truthfulness. We will seed further successes through continued investment in our employees, our guests and the communities where we operate, always remembering that it is important to have fun along the way. 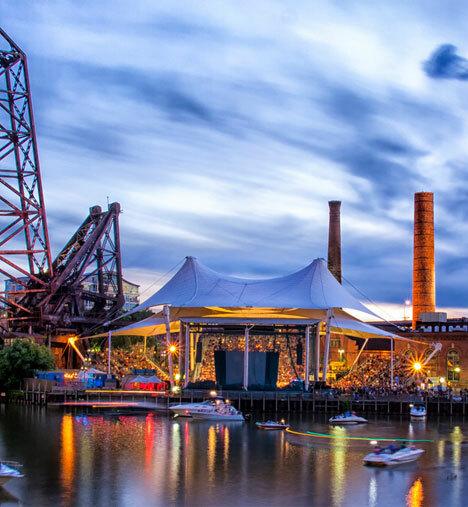 Situated in Cleveland’s historic riverfront Flats district, Nautica Entertainment Complex offers exceptional dining and exhilarating entertainment in a dramatic setting where you can see giant lake freighters maneuver the Cuyahoga River. Nautica Entertainment Complex includes the FirstEnergy Powerhouse and is home to the Greater Cleveland Aquarium, Windows on the River banquet facilities and Trolley Tours, the Sugar Warehouse with Shooters on the Water, the IMPROV Comedy Club and Restaurant, Great Lakes Watersports, Jacobs Pavilion, the Nautica Queen dining and cruise ship, and the Apartments at Nautica building with McCarthy’s Downtown. At the Cuyahoga River’s edge is the half-mile long Nautica Boardwalk offering special views of boats on the river and Cleveland’s resurgent skyline. The Nautica Queen offers a unique dining adventure for people of all ages. While aboard Cleveland’s most popular dinner cruise ship, visitors cruise the Cayuhoga River traveling under historic jackknife bridges, seeing lakefront-bound freighters up close and experiencing the downtown Cleveland skyline. All cruises include an unlimited buffet and musical entertainment. 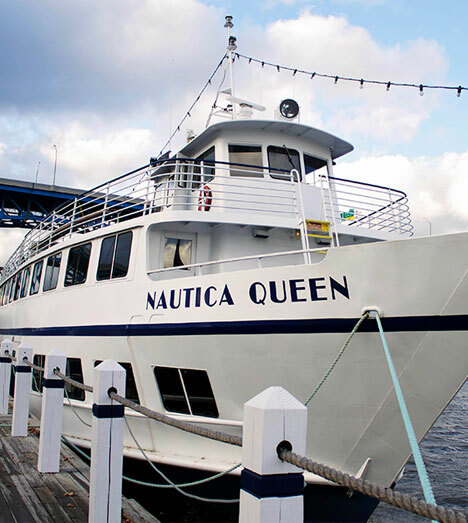 The Nautica Queen is perfect for large groups including Weddings, Corporate Outings, Birthday Parties, Family and Military Reunions, Proms and many more. A staff of professional party planners and culinary experts is available to insure every detail will meet your expectations. More adventure awaits as the Nautica Queen docks at the Nautica Entertainment Complex where cruise guests can enjoy world-class restaurants and entertainment venues. Spectacular inside and out, Windows on the River prepares and presents gourmet cuisine in a dramatic yet comfortable setting with dazzling views of Cleveland’s unique signature bridges and sparkling skyline. Located in the heart of the Nautica Entertainment Complex, guests can enjoy the best of Cleveland’s waterfront and nightlife before and after an event. The facility features three wonderfully irresistible rooms- the beautiful Bridge View Room, the breathtaking City View Room and the River View Room – all reflecting the elegant charm of Cleveland’s surrounding riverfront area. 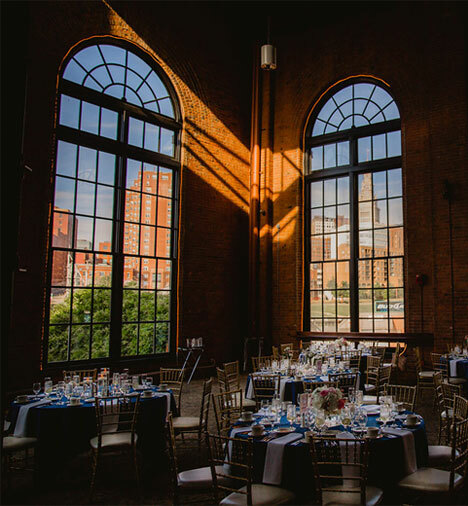 Windows on the River has been serving the greater Cleveland community since 1990 in the century old FirstEnergy Powerhouse. The Powerhouse, known for its tall smokestacks and beautifully arched windows, originally powered Cleveland’s electric railway and streetcar system and is now a National Historic Landmark.